Not a single wind farm project proposed in the past four years in Ontario has undergone an independent environmental assessment by the province, figures obtained by The Free Press show. Despite requests from citizens’ groups for the assessments, 31 projects have been allowed to go through after a less stringent screening process undertaken by the wind farm proponents themselves. 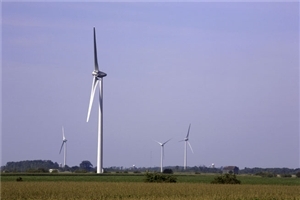 “It demonstrates the process is a sham,” said John Laforet, president of Wind Concerns Ontario, a coalition of 33 smaller groups. This entry was posted in Wind power and tagged Wind Concerns Ontario, Wind farms. Bookmark the permalink.